Sow in pots under cover in early to mid spring. Plant out when the soil is warm. Alternatively, sow directly into weed-free ground in late spring. 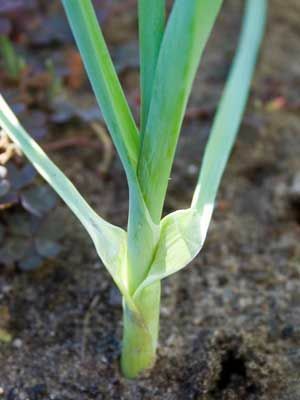 When leeks are almost the size you prefer, blanch them for 2 to 3 weeks by putting a mound of soil, mulch, or a cardboard tube around the base of each stem. Grows best in areas where nights remain cool through summer. Can be left in the ground until required and harvested right through autumn, winter and early spring.